Pivotal phase 3 AMBER study data has achieved its primary endpoint, demonstrating that the single-tablet regimen (STR) containing darunavir 800 mg, cobicistat 150 mg, emtricitabine 200 mg and tenofovir alafenamide 10 mg (D/C/F/TAF) was non-inferior to darunavir/cobicistat (D/C) plus emtricitabine and tenofovir disoproxil fumarate (F/TDF) in previously untreated patients with HIV-1, according to Janssen Pharmaceuticals. The 48-week, phase 3, randomized, active-controlled, double-blind study, was designed to assess the safety and efficacy of D/C/F/TAF versus the control in antiretroviral therapy (ART) treatment-naïve patients. The 2 arms included D/C/F/TAF (n= 362), and the control, which consisted of 2 separate medications, D/C plus F/TDT (n= 363). The primary endpoint was non-inferiority of D/C/F/TAF versus control regarding the proportion of patients that reached a viral load less than 50 copies per mL at 48 weeks. Overall, the once-daily D/C/F/TAF showed to be both highly effective and well-tolerated in treating antiretroviral-naïve HIV-1 patients, meeting its primary endpoint. D/C/F/TAF demonstrated non-inferiority versus the control group at 48 weeks (HIV RNA less than 50 c/mL 91.4% versus 88.4), and resulted in low virological failure rates. There were no observed resistance associated mutations (RAMs) to darunavir or TAF/TDF throughout the study. The tablet showed more favorable bone and renal safety parameters versus the control, as statistically significant differences were observed in mean changes from baseline to week 48 in bone mineral density (BMD) between D/C/F/TAF and the control (spine, -0.7% versus -2.4%, and hip, 0.2% versus -2.7%). Similar results were demonstrated in safety through the 48 weeks compared to the control in terms of rates of discontinuations due to adverse effects (-1.9% D/C/F/TAF, versus 4.4% control), Grade 3-4 adverse effects (5.2% versus 6.1%) and serious adverse effects (4.7% versus 5/8%). The most common drug-related effects were diarrhea (9% D/C/F/TAF, versus 11% control), rash (6% versus 4%) and nausea (6% versus 10%). 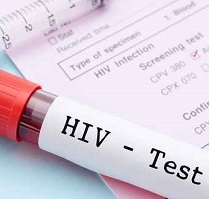 A New Drug Application (NDA) was filed on Sept. 22, with the US Food and Drug Administration (FDA) for D/C/F/TAF in treatment of HIV-1 infection in adults and pediatric patients 12 years of age and older, based on the results from EMERALD and AMBER, 2 pivotal phase 3 trials. On Sept. 25, the European Commission approved the use of D/C/F/TAF (SYMTUZA) for the treatment of HIV-1 infection in adults and adolescents 12 years of age and older weighing at least 88 pounds. The approval allows SYMTUZA to be marketed in all member states of the European Union and European Economic Area. Safety and efficacy results from the AMBER study will be presented at the European AIDS Conference (EACS) in Milan, Italy, on Oct. 27. A press release was made available.